Happy Tuesday people! You may have noticed that All New #TweetHeeHee has been conspicuous by it’s absence these last two weeks. Partly because of this seemingly endless heatwave, I’ve decided to give it a summer break whilst the world recharges and rests for the next six weeks – and to provide the hilarity again once the world goes back to normal a bit. So you’ll find it here again to kick start your new week’s laughs on the blog from 3rd September. Looking back now, partly because they were such a global phenomenon, everything about the Spice Girls’ five year career was a bit like lightning captured in a bottle, and yet at the same time felt longer than it actually did. 1998 had proved to be an interesting year to this point for the girls – and not for the first time in their career, they were having to pour hot tea on their critics and premature obituary writers. Their previous single, the still genuinely brilliant ‘Stop’ had ended their run of consecutive UK number one hits by stalling at #2. But with a world tour having already wowed their fans in the UK and Europe that spring, the American leg was now in sight, and in May they were gearing up for another single release from their Spiceworld album. But there was to be a twist in the tale before that happened. On Wednesday, 27th May, 1998, after flying in from the most recent European show of their tour in Helsinki, the girls were scheduled to make an appearance on the midweek National Lottery Show on the BBC. It was then that they learnt from Geri Halliwell – aka Ginger Spice – that she was leaving the group. Trying to put on a united front to see if she’d come back, they advised she was unwell on air that night – Melanie C even giving the camera a (unconvincing with hindsight) ‘Get well soon, Geri’. But it was when Geri – who, along with the other girls, was a tax exile at that point – was spotted fleeing the UK on a private jet to Paris a day later, that the press speculation began to reach fever pitch. Through statements via their respective solicitors four days later, on 31st May 1998, both the girls and Geri had confirmed she had left the Spice Girls. It immediately caused the pushback of their new single to a release in July, whilst the remaining quartet of Baby, Sporty, Posh and Scary headed to the States to begin their mammoth American leg of the world tour. A wistful and genuinely moving flamenco laden ballad, with a strangely haunting video of the girls as animated fairies, ‘Viva Forever’ then unofficially became something of a double event – a single to mark the passing of Ginger, and also one for the critics to see if the Spice was right without her. 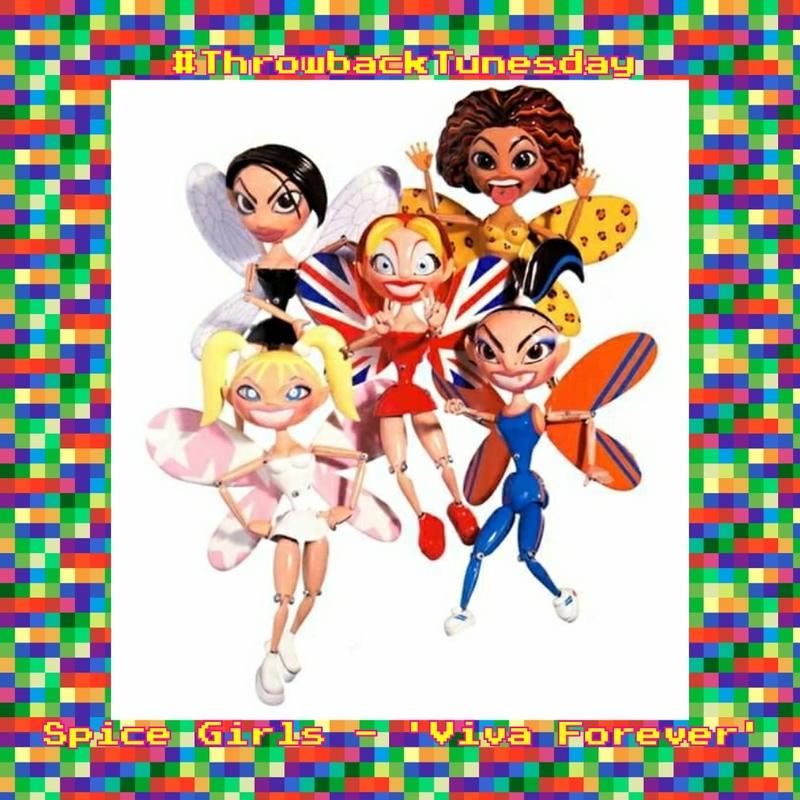 In the end, upon its release on 20th July 1998, ‘Viva Forever’ answered its critics and then some, as with first week sales of over 200,000 copies, it became the Spice Girls’ seventh UK number one hit, staying at the top for two weeks, seeing off the challenges of Puff Daddy’s single from the Godzilla soundtrack and Will Smith’s ‘Just The Two Of Us’ along the way, and going onto become one of the biggest selling singles of 1998. ‹ PreviousNow That’s What I Call Lost Gems!